Welcome back to bread and lots of it. As I couldn’t eat bread for the past week because of Passover, I thought I would overdo it this week with a double decker grilled cheese. 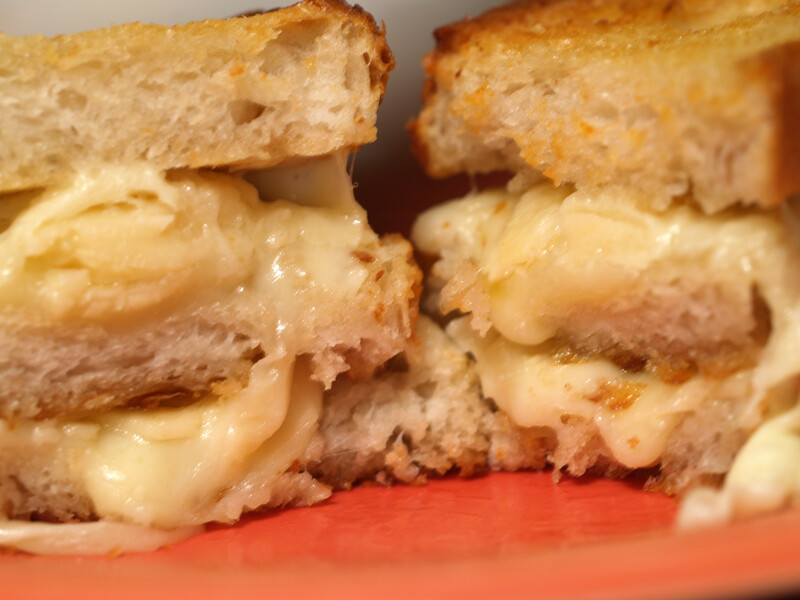 Tonight’s sandwich was an homage to the traditional grilled cheese with some updated flair. Instead of using typical white bread I chose sourdough bread. Instead of using American cheese, I chose Parmesan, Mozzarella, Asiago. Instead of two slices of bread, I used three. The traditional pairing with a grilled cheese is of course tomato soup, of which we partook in this evening. The only difference between typical tomato soup and the tomato soup we used tonight was that I added some of the leftover Parmesan cheese on top. It was a great touch. This week we have a few cheeses to learn about, all of which are awesome. Let’s first start with the Parmesan cheese, which I bought pre-shaved. The best known of the Italian hard cheeses Parmesan is a heady cow’s milk cheese that showcases a golden rind, straw-colored interior and rich, sharp flavor. As a popular table cheese and cooking ingredient, Parmesan is made throughout the world, particularly in Argentina, Australia and the United States. However, none of these renditions can compare to the Italian original, the preeminent Parmigiano-Reggiano…learn more. In my opinion, this was my least favorite of the three that I tasted prior to cooking. The first piece I tried had a subtle taste and then a great unexpected finish. However, I tried a couple more pieces and none of them had that great unexpected finish that I experienced with the first piece. They were just bland in my opinion. I was rather disappointed, although it seemed to work well with the other cheeses when cooked. Italy’s most famous cheese mozzarella is a soft, mild, fresh white cheese. While best known as a grated topping for our favorite pizzas, true Italian mozzarella has so much more flavor and complexity to offer. If you’ve ever tasted a melt-in-your-mouth ball of “Mozzarella di Bufala Campana” (DOP) perhaps no further explanation is needed…learn more. 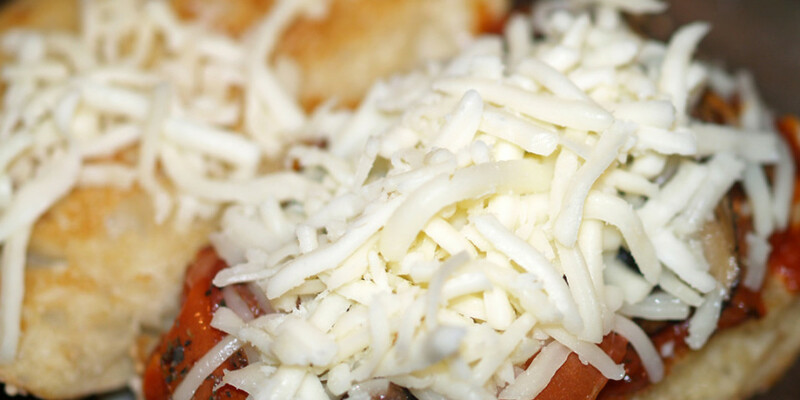 Honestly, who doesn’t like a good Mozzarella cheese? 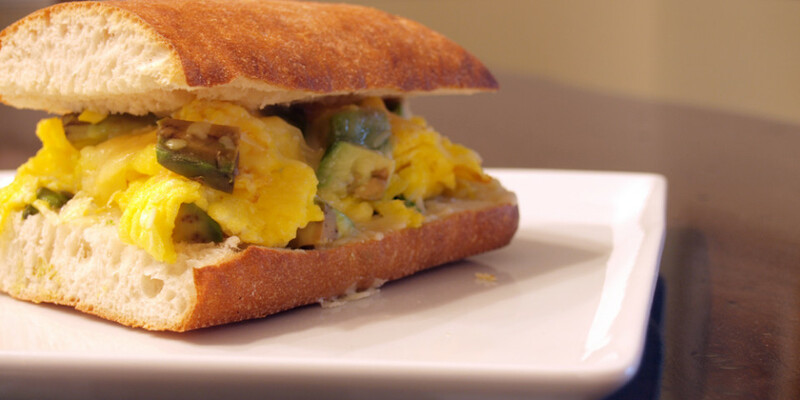 This one had a great creamy, soft texture that was perfect for the base of the sandwich. Oddly enough, and this is not a bad thing, this cheese reminded me of a good string cheese. Yum! Finally we have what is quickly becoming one of my favorite cheeses: Asiago. It seems that this cheese has come on strong lately. Asiago may not be as famous as Italy’s other grand varieties, but it’s a cheese well worth knowing – it just may surprise you! Smooth to crumbly, or sweet to savory, Asiago can assume many different flavours and textures according to age…learn more. This Asiago had an amazing, crumbly texture and a taste that was in your face and dominant. This was probably the best cheese of the night, at least during the tasting phase. Yum! Overall, this grilled cheese was good but not great. As the sous chef suggested, after we cooked the sandwich, a softer bread might have been a better choice for a double decker grilled cheese. This was crunchy and yummy, but just slightly difficult to bite into/eat. It also might have overpowered the cheese. 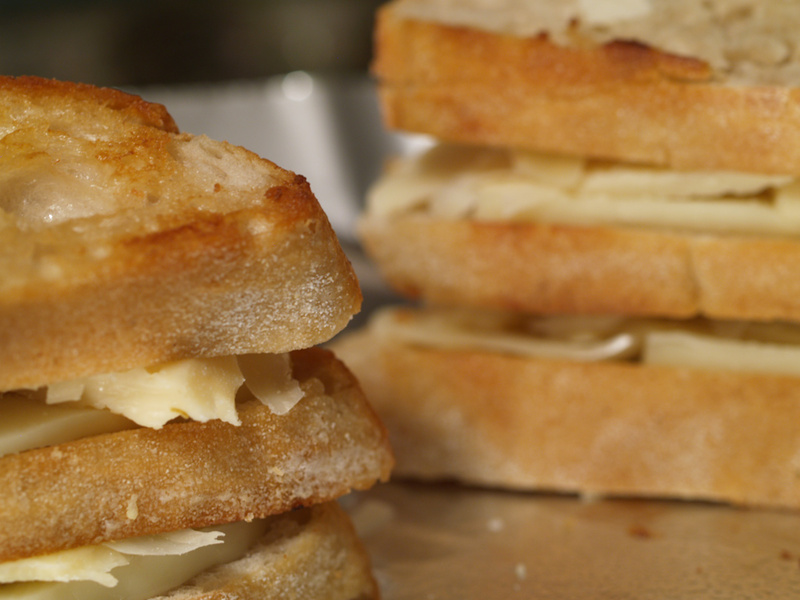 I will always be a fan of sourdough bread and after tonight’s grilled cheese, that has not changed, there just may have been a better bread to choose for this evening’s double decker grilled cheese. 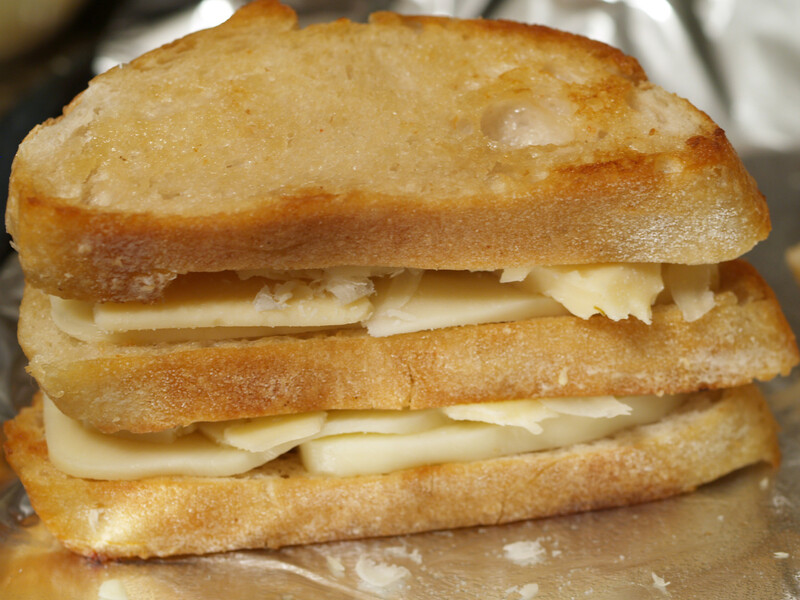 Oddly enough, when you mix three distinct cheeses, their flavors all blend together and create a new flavor. Tonight, I did not taste parmesan, mozzarella, asiago in the grilled cheese individually, I simply tasted whatever their child would taste like. Odd analogy, yes, but I think it fits. 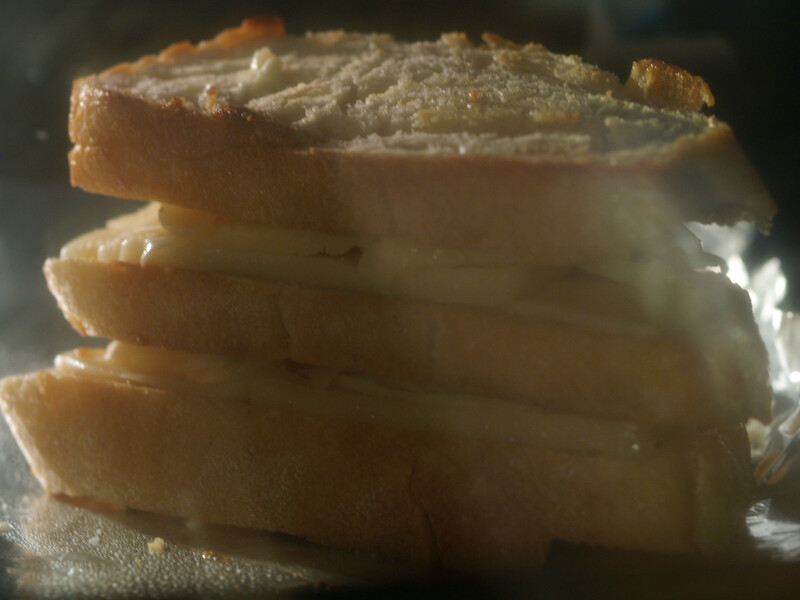 Anyway, the oozey, melted cheese did taste very good, I just wonder, again, if the bread overwhelmed the cheese. Since we were strapped for time, and because I have never made tomato soup before, we just used canned tomato soup. It was very yummy though. Some people are dippers and some are not. For some reason, I am not really a dipper and ate most of the first half of my sandwich without dipping. However, after some nudging by the sous chef, I dipped the second half and it softened up the sourdough and actually made the grilled cheese much better. 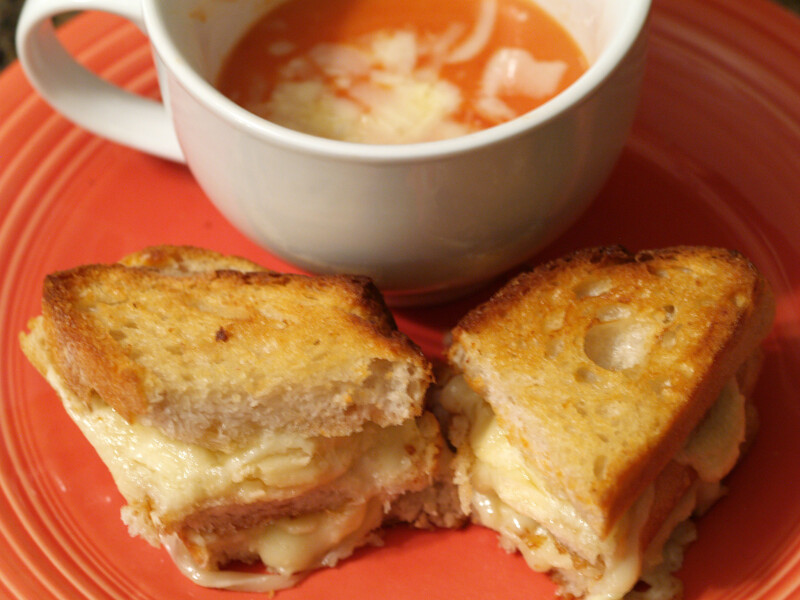 I believe the soup toned down the bread and allowed the cheese to shine through a bit more, making the sandwich much better. Overall, this was a good double decker grilled cheese that was definitely made better by dipping the sandwich in the tomato soup. Some changes could be made, including the bread and maybe making it single decker, but overall it was a good night. 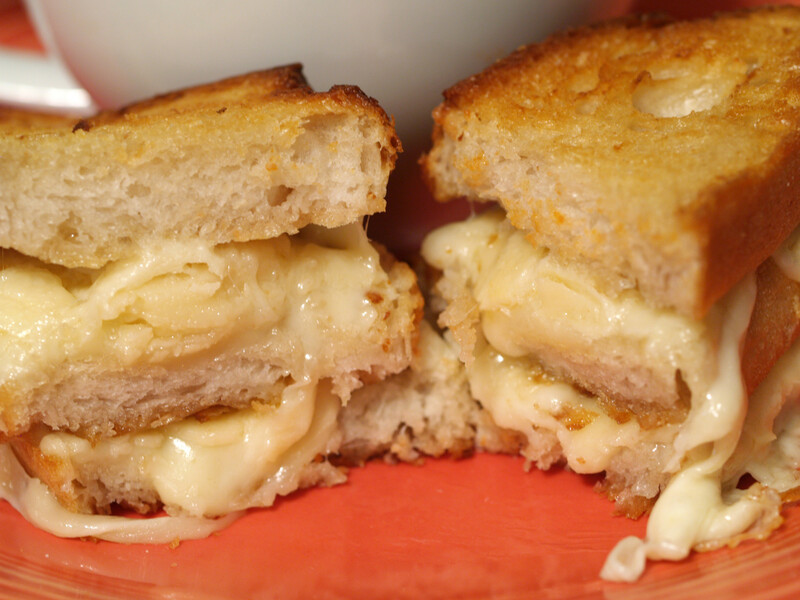 I am sure that this grilled cheese could be made with many different combinations so let me know in the comments if you have any other cheese pairings in mind. Love this nice and big grilled cheese sandwich! Yum! Looks comforting and amazing. Hey, have you ever tried adding curry powder to your tomato soup? It are yummy! I love your updated version on grilled cheese. Simple meals are always a crowd pleaser! Thanks everyone! I am glad you all found this sandwich to be so good! Definitely try your own version at home. Editor’s Note: I forgot to mention in my original post that I borrowed/updated this recipe from the MSN’s Delish column that I wrote about last week. 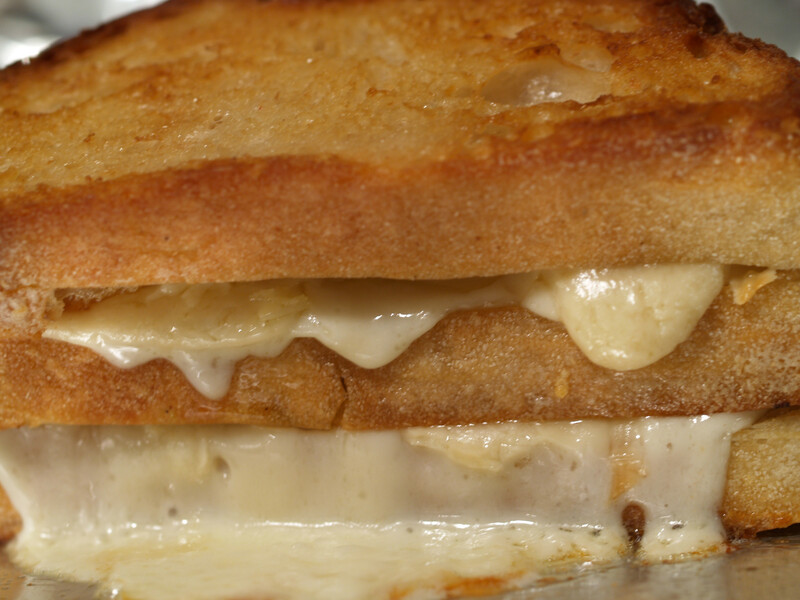 This is my kind of grilled cheese! I love the cheeses you chose, but I agree that single-decker would probably work out better. You really have such great photos on your site. What kind of camera do you use? Sorry to ask if you have it posted somewhere already. Yum! This looks so decadent and very delicious! Thanks again everyone! This sandwich seems to have hit a chord with people! I guess simple really is a crowd pleaser, right Jessie?! Allison, I use an Olympus EVOLT E-500 camera and most of my photos are taken with a macro lens. As you can probably tell, I am a big fan of the close-ups! Spud, I met the offspring and hope to adopt it as one of my own!! I bet this cheese mix would make a great cheese crisp. I should try that…haha. Greg, it was the difficulty in eating that brought it down from an A- to a B+. It was just a little too crunchy for a double-decker sandwich. 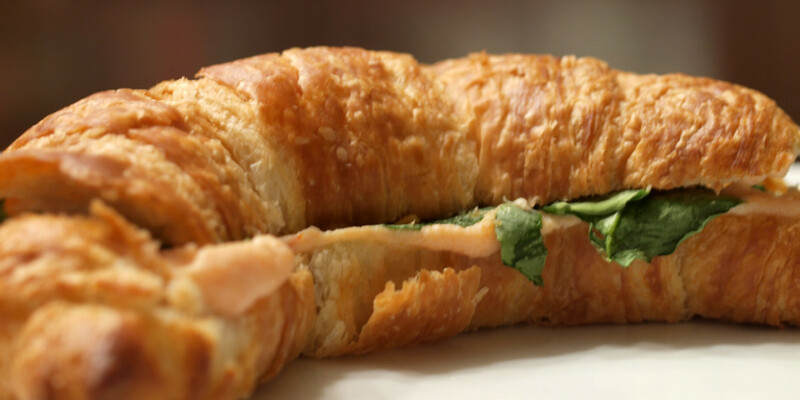 The sandwich would have been a great with a softer bread, which is something to think about. Or as a single-decker. I tried this out today and I have never felt so bloated after eating a grilled cheese sandwich. I switched the Parmesan for American cheese. I was great tho. I will make it again for sure!